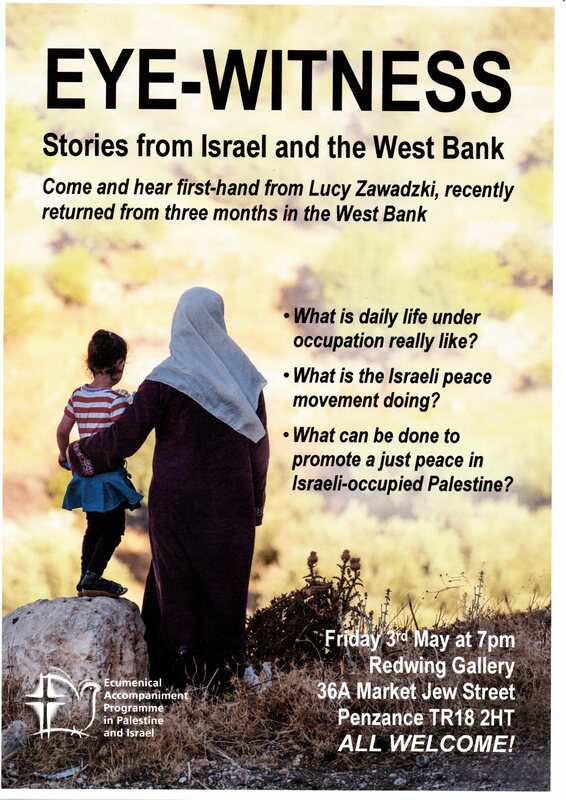 Come and hear first-hand from Lucy Zawadzki, recently returned from three months in the West bank. What can be done to promote a just peace in Israeli occupied Palestine? Refreshments available from Redwing's vegan cafe.